The uBlock Origin adblocker for Microsoft Edge is now available. The uBlock Origin adblocker use less CPU and memory than Ad Block and Ad Block Plus. The Edge version shares 95% of the same code as the Firefox and Chrome versions. 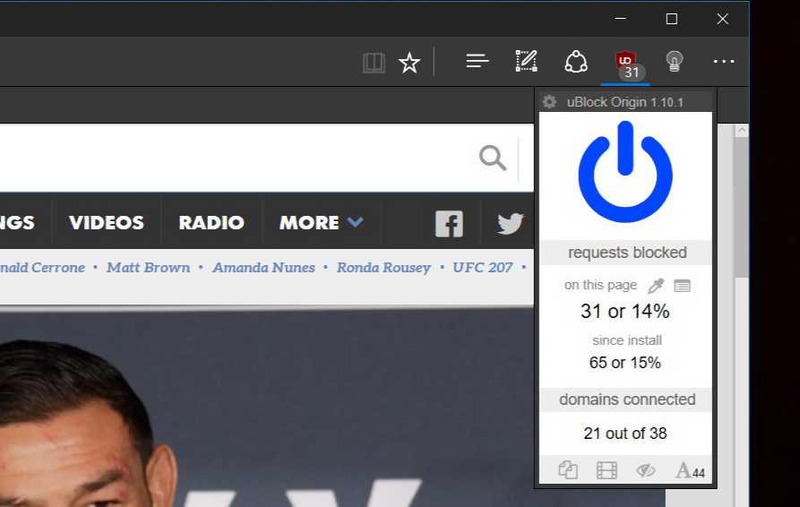 All the features of uBlock Origin on Google Chrome is now available on Microsoft Edge, like users can easily whitelist sites, add their own filters rules, manage which filters are used to block ads, and a lot more. As the extension is currently in preview, users can face couple of issues. However, if you find an issue with extension, submit a feedback about it so that the developer can fix it in the near-future. The uBlock Origin is now available at Windows Store for free. Right now, the Edge browser extensions are only available for Windows 10 Anniversary Update users. You can download extension from the Windows Store or from the link below.